Matsumoto is a beautiful castle city in Nagano Prefecture. A portal into the Japanese Alps, it offers gorgeous views of sunsets amidst the surrounding mountains. The city was once the castle town of the Ogasawara clan in the 14th and 15th centuries, and continues to charm, even today. 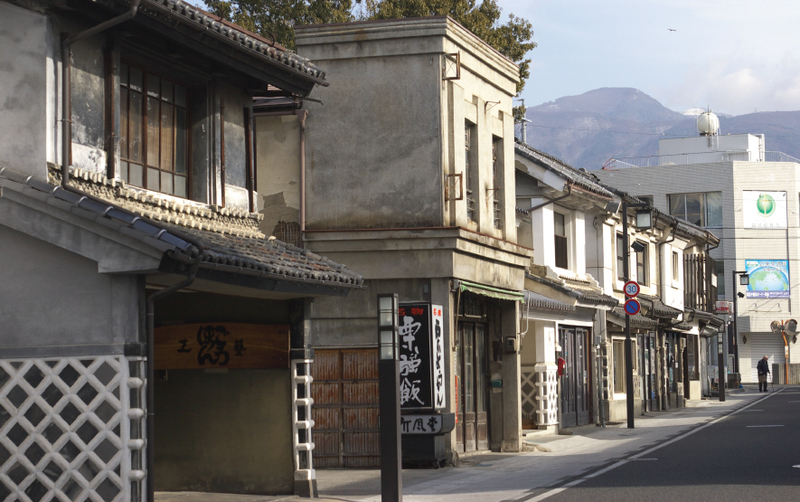 Matsumoto features numerous cultural and historic jewels. 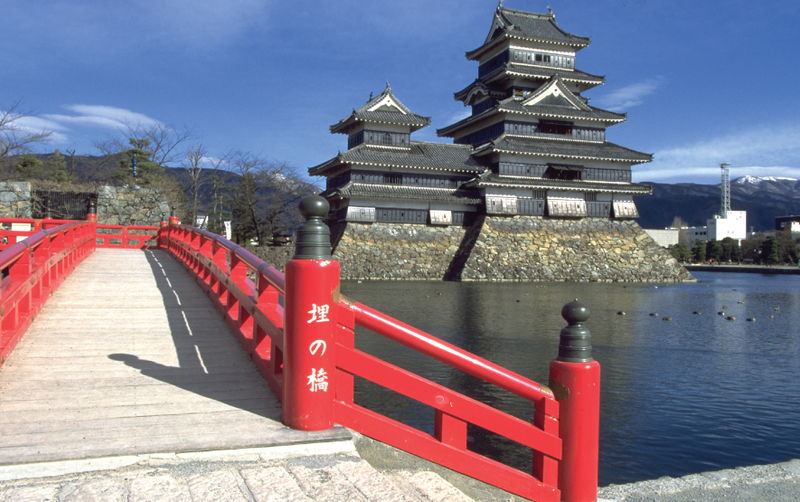 However, the Matsumoto castle remains its most remarkable feature. 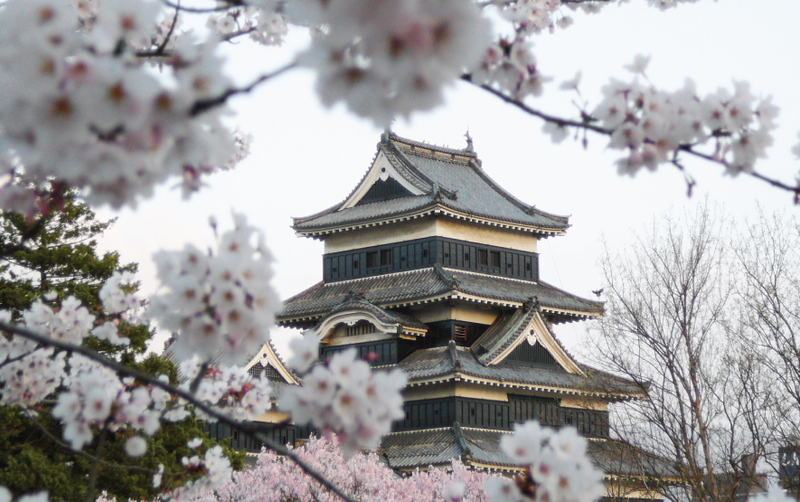 It is Japan’s oldest castle and is recognised as a National Treasure. It presents the original architecture, and is known as the Crow Castle or “Karasujo” for its black exterior. The castle has 6 storeys, including a hidden floor, and visitors must remove their footwear before they ascend its steep, wooden stairs. Enjoy excellent vistas of the Southern Alps from the top. A ticket to the castle will also grant you access to the Matsumoto City Museum within the castle park. The castle grounds come alive with the delicate, pink cherry blossoms during springtime. Between the castle and the station, you’ll find the famous Nakamachi Street. Running parallel to the Metoba River, this one-way street is fairly wide with generous pedestrian areas on both sides. 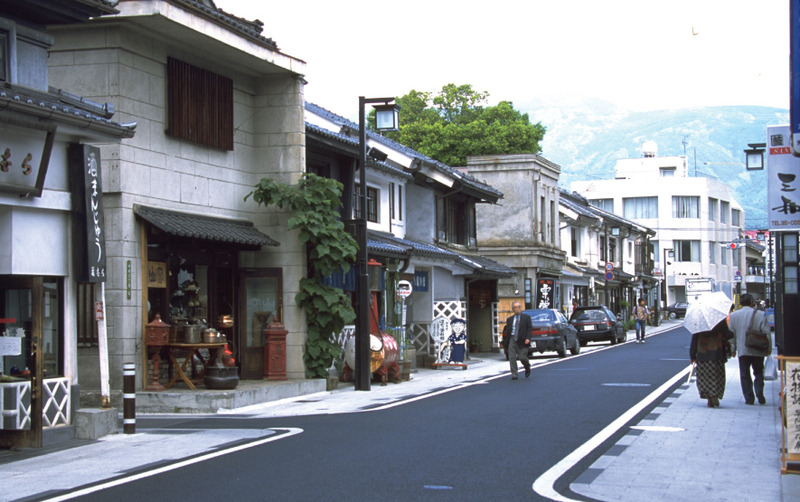 This is a commercial street that was, in the Edo Period, located in central Matsumoto city. Nakamachi Street is lined with many historical, earthen-walled buildings with contrasting black and white facades. They are characterized by white criss-cross patterns. The merchant shops of Nakamachi were originally made from wood, but devastating fires in the 18th and 19th centuries destroyed most of these buildings. These structures, or Kura or Dozo, were later rebuilt to be fireproof to protect the goods stored in them. Some of these are now over a century old. Once warehouses, they are presently used as art galleries, craft shops, restaurants and shops selling pickles. To soak in some culture, visit the Matsumoto City Art Museum. Opened in 2002, it promotes an appreciation for art through its vivid displays. It is based on four fundamental themes—Appreciation, Representation, Learning and Communication. The museum itself resembles a work of art, with its glass and wood construction. 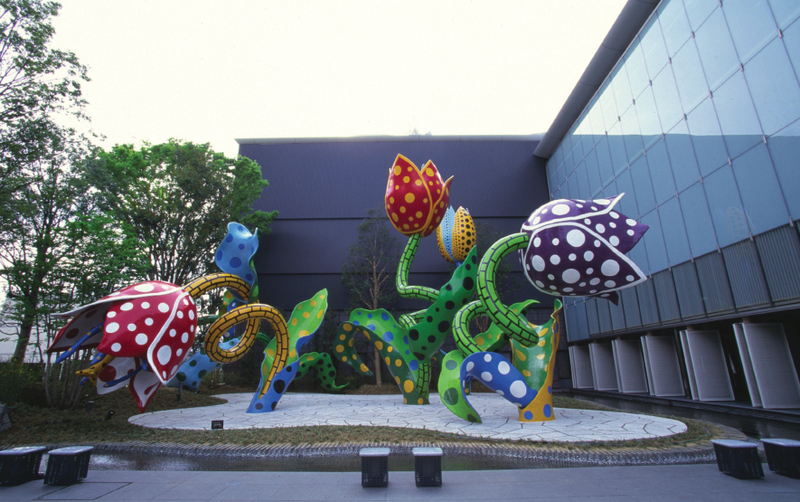 Colourful, gigantic flowers— an outdoor masterpiece by Matsumoto’s very own Yayoi Kusama— will greet you at the entrance. Inside, you’ll find more of her whimsical art displayed in the permanent collection. Walk through colourful murals, pumpkin forests, interesting lights and myriad dots. You’ll also find exhibits by other local artists and a museum exhibit of the famous calligrapher and painter Shinzan Kamijyo. You can pick up souvenirs at the gift shop and dine at a small restaurant serving western food behind the museum. Matsumoto is a beautiful city steeped in culture, history, nature and food. Indulge in its soba noodles and wasabi, and take home memories of a wonderful time here. If you are planning a trip to Matsumoto in Japan, do not hesitate to contact your luxury travel designer Mr. Isao Numano.